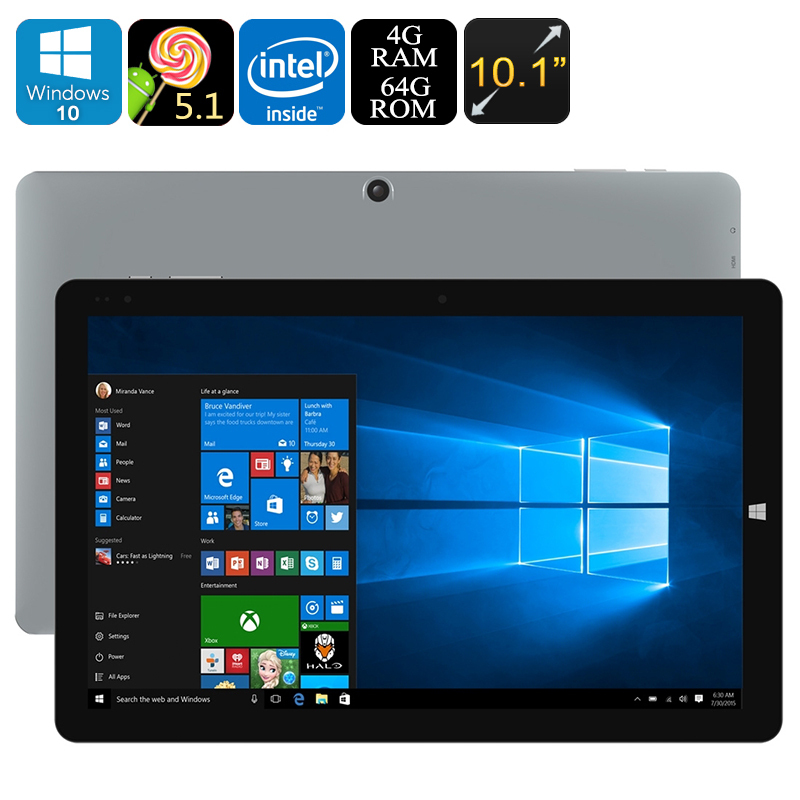 Successfully Added CHUWI HiBook Pro Tablet PC - 10.1 Inch 2560x1600 IPS Display, Intel Atom CPU, 4GB RAM, 64GB Memory, Licensed Win 10, Android 5.1 to your Shopping Cart. Chuwi fans and tablet lovers will be pleased to see this new Chuwi HiBook Pro. This affordable high-end tablet runs both Windows 10 and Android 5.1 operating system. So you have the best productivity tools as well as access to all the best apps and games from the Play store. With Cherry Trail Quad Core CPU, 4GB RAM and Intel graphics it is perfectly equipped for games and media, you can even pick up a Chuwi keyboard and attached it through the magnetic suction interface so you can respond to those emails and work on the go. With a 10.1 inch IPS screen that boasts 2560x1600 resolutions you get a rich vibrant display that really shines when it comes to games and movies. Should you want to share the fun on a large screen you can always use the tablet's HDMI port to connect to a bigger display, great for presentations, as well as movie night with the family. An internal 64GB of storage space should be adequate for most but for demanding users there's a micro SD card slot allowing you to double this as well as the option to add a USB flash drive so you won't have any storage issues. Coming with a built-in 6600mAh battery ensures good usage times so you can expect about 4 to 6 hours of continuous work time. there is a front and rear camera on the tablet so it's suitable for snapping the occasional picture or short movie and will more than suffice for video chats on Skype or What's App. Whether ist for work or entertainment the Chuwi HiBook Pro with its 2 operating systems provides everything you could need in a tablet at respectable prices that won't break the bank. 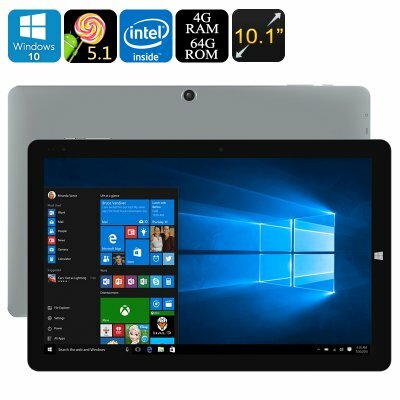 It comes with a 12 months warranty, brought to you by the leader in electronic devices as well as wholesale tablet PCs and computer gadgets..